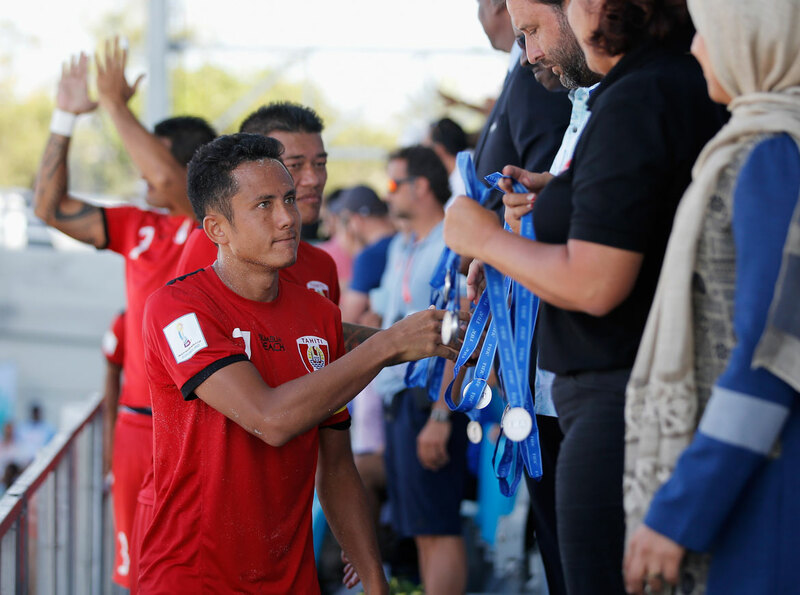 Despite falling short against Brazil in the final of the FIFA Beach Soccer World Cup, Tahiti’s feat of a second consecutive silver medal has helped put Oceania on the map. OFC Futsal and Beach Soccer Development Officer Paul Toohey said the Tiki Toa’s feats on the world stage are inspirational and show the rest of Oceania just what can be achieved. “If you look at some of the other powerhouse countries they played; Japan, the European champions Poland, and Paraguay they had an outstanding campaign,” Toohey said. Toohey said the semi-final against Iran was an impressive match-up against a side which, much like Tahiti, are making history within their Confederation and on the global stage. “It was a story in itself against Iran – a really gruelling penalty shootout where nobody seemed like they wanted to win it and get to the final,” he said. Toohey said beach soccer is on the rise in Oceania with a lot of nations taking note of Tahiti’s success and wondering if it might be something they can emulate. “I think we can look to how they’ve gone about it and they’ve actually achived it in a short period of time, over the last ten years,” he said. Toohey said Oceania’s environment – plenty of sand and plenty of beaches – is conducive to playing beach soccer.